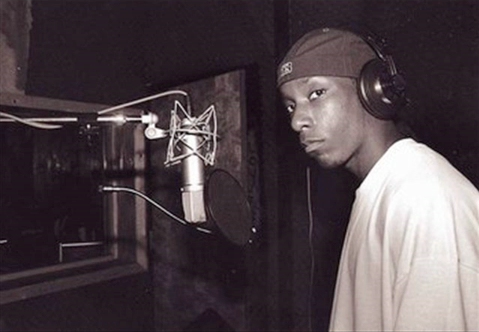 Big L began writing rhymes in 1990, and created a crew called Children of the Corn (COC). The members were Young Mason “Murder Mase” Betha, Cameron “Killa Cam”, Derek “Bloodshed” Armstead and Herb McGruff releasing 30 songs under the name COC such as “American Dream” and “Harlem Nights”. Big L debuted in D.I.T.C of Diggin’ in the Crates Crew with members Showbiz & A.G. ( Andre the Giant), Diamond D, Lord Finesse, Fat Joe, O.C., and Buckwild making his first cameo performance in 92 on Lord Finesse’s “Yes You May” remix which was the B-Side to the single “Party Over Here.” In 93 he dropped his first single, “Devil Son”, he later says he wrote the song because “I’ve always been a fan of horror flicks. Plus the things I see in Harlem are very scary. So I just put it all together in a rhyme.” Some of his first demos from 91 were featured on his debut album, Lifestylez ov da Poor & Dangerous which was released in 95. From this album his second drop was “Clinic.” A radio edit of “Put It On” was released July of 94, three months later the video was released. Then in 95 the video single for “No Endz, No Skinz” debuted. In 96, Big L was dropped from his label, Columbia, due to a dispute between his rapping style and the production from Colombia. Big L stated “I was there with a bunch of strangers that didn’t know my music.” From 97-99 he stated working on The Big Picture which featured cameos from Fat Joe, Kool G Rap, Tupac Shakur, and Big Daddy Kane among others. This would be his last recorded album released in 2000 put together by his manager and partner in Flamboyant Entertainment, Rich King. On February 15, 1999; Big L was killed in the doorway of 45 West 139th Street in Harlem being shot 23 times by a drive by shooter. The death is still unsolved. With his street savvy and creative word play he set himself apart early in his career on freestyles and will be remembered and recognized as one of the greatest. Today he is considered by many one of the top 10 MC’s of all time. RIP Lamont “Big L” Coleman.